OKLAHOMA CITY (AP) – Oklahoma City is observing the 60th anniversary of a youth sit-in that local historians say deserves more recognition in the collective memory of the national civil rights moment. 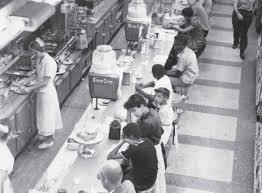 Oklahoma History Center staffer Bruce Fisher said the Oklahoma City NAACP Youth Council’s peaceful protest at a Katz Drug Store counter on Aug. 19, 1958, preceded a 1960 sit-in at a Woolworth department store in Greensboro, North Carolina, which many highlight as the start of the movement. Fisher tells The Oklahoman he hopes to gain the support of the state’s congressional delegation and put together a package of evidence to submit to the Smithsonian’s National Museum of African American History and Culture so it will include a reference to Oklahoma City. This week’s events include viewings of documentaries and religious services.